Janet Faye Marsh Zeller, age 70 of Glendale Springs died Monday, January 14, 2019 at Watauga Medical Center. Mrs. Zeller is survived by her husband, Lou Zeller, daughters, Lauriel Rader of Ohio, Cory Zeller of Marshall, LouAnna Zeller of Marshall, Dee Creech of Charlotte, and Ginny Lawrimore of Idaho, son, Ballard Hoyle of Asheville, her mother, Irene Marsh of West Jefferson, sisters, Sonja Bennett of Boone and Sharon Barr of California, 8 grandchildren and several nieces and nephews. In her early adult life, Janet was a successful teacher and a rising star in the educational establishment of North Carolina. She graduated from Beaver Creek High School in Ashe County in 1966 and went on to earn a B.A. and an M.A. in English at Appalachian State University. She taught English at Watauga High School and ASU. She was recognized as Young career Woman of the Year in 1973 by the NC Federation of Business and Professional Women’s Clubs. Janet established and trained Watauga High’s debate team which under her leadership won honors during the National Bicentennial Debates in 1975, 1976, and 1977. 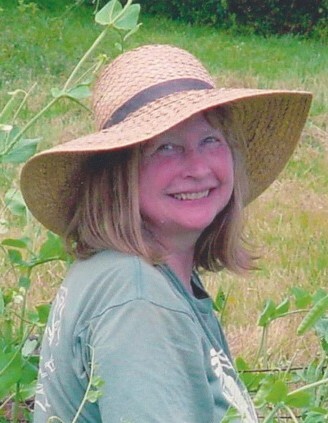 Janet Marsh founded the Blue Ridge Environmental Defense League in 1984. She served as Executive Director for 28 years. Janet’s accomplishments are more impressive because she has turned disadvantage to advantage. Blind from a congenital disorder since her late 20’s, she credits her visionary approach to community leadership to her loss of eyesight. Under Janet’s leadership, the Blue Ridge Environmental Defense League has continued to grow in size and scope, with new issues, new communities, and new methods. Today the organization spans six states, employs seven community organizers. BREDL won the NC Governor’s Award as Air Conservationist of the year for precedent-setting campaigns to reduce toxic air pollution. BREDL has collaborated with grassroots organizations in Great Britain, Japan, Russia and throughout the United States. Janet enjoyed raising children, gardening, spending time with her grandchildren, the theater, music and English literature. Memorial services will be held at 11:00 AM Saturday, January 19, 2019 at Badger Funeral Home Chapel. The family will receive friends from 5:00 – 7:00 PM Friday, Jan. 18th at Badger Funeral Home. In lieu of flowers memorials may be made to the Blue Ridge Environmental Defense League, Janet Marsh Zeller Honorary Fund, PO Box 88, Glendale Springs, NC 28629 or BREDL.org.